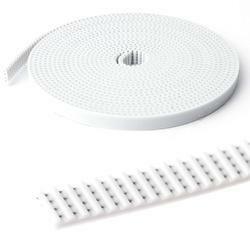 Product Descriptionwe are the largest trader, wholesaler and supplier of a Timing Belts. Our provided belt is basically used in numerous vehicles engine. The offered belt is precisely manufactured using premium grade material with the help of cutting-edge technology under the supervision of deft professionals at our vendors’ end. This belt is highly appreciated owing to its dimensional accuracy and easy installation by our patrons. Leveraging over the skills of our qualified team of professionals, we are engaged in offering superb quality assortment of Jointed PU Timing Belts. These Jointed PU Timing Belts are manufactured with quality thermoplastic polyurethane that can bear high tolerance & offers high abrasion resistance. Our product range is designed according to the specifications laid by the customers using sharp edge technology. 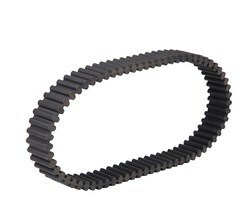 Product DescriptionWe are offering Open Ended Timing Belt to our clients. Product DescriptionWe are recognized as the trustworthy trader, wholesaler, distributor and supplier of a wide array of Double Sided Timing Belts. Under the supervision of our dexterous professionals, these belts are manufactured with the latest technology and best quality raw material and at our reliable vendor’s end. Our offered belts are used in numerous vehicles engine and also available in varied sizes and specifications. Moreover, the provided belts can be availed by our precious clients at industry leading prices. 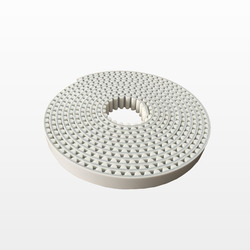 We Imperial World trade Pvt Ltd are Associated Manufactures & Export of Refractory, Insulation, acid Proof bricks & lining materials, Engineering, Machinery & Spares,Timing Belt, PU Timing Belt, HTD And STD Timing Belt, V Belt, Cogged Belt, PU And PVC Conveyor Belt, Conveyor Belt, Fan Belt, Hub Coupling, Timing And V Belt Pulley, Steel Stud, Ball Bearing, Oil Sealer, etc. We Export Our All Products to Kenya, Tanzania, Ethopia, Namibia, Congo, Ghana, Zambia, Dubai, Qatar, Kuwait, malasiya, Bangladesh, Srilanka, Oman, botswana, Mali, Chile, Peru, Europe. We bring forth highly efficient HTD timing belts for the countrywide markets. If positioned at accurate position, these HTD timing belts operates with 99% efficiency. 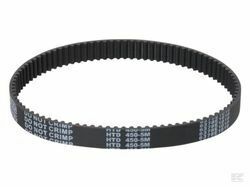 Also, these HTD timing belts find application in wide range of applications ranging from fractional h. P. To 500 kw, speed ratio up to 20, 000 rpm, speed ratio up to 20:1. Besides, clients can avail HTD timing belts at very competitive rates from us.